Give Your Windows PC a Boost! 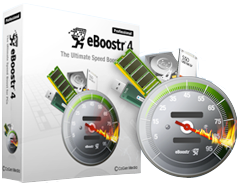 eBoostr is working as the best alternative solution to ReadyBoost and SuperFetch technologies, it implements a different and advanced approach to use flash memory to speed up your computer. 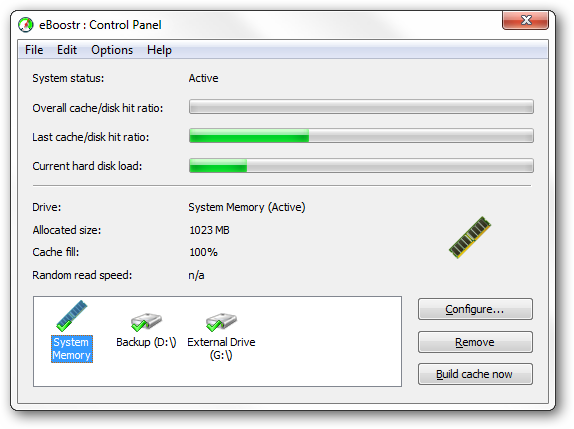 Use the memory of up to 4 storage devices to make your Windows PC perform up to 5 times better. 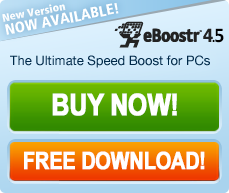 eBoostr can also help to fix slow downs, lag and stuttering in computer games on Windows XP, Vista and Windows 7. • Supports SSD (custom sector size), USB3.0 and ESATA devices. • More accurate speed tests when using RAM or very fast cache devices. • After an unexpected reboot or BSOD eBoostr now goes into enabled state automatically after 10 minutes. • iPod synchronization failure on Windows XP = FIXED! 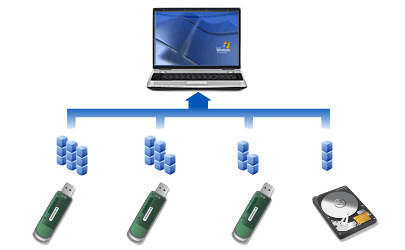 • Data Encryption to secure data stored on USB flash drives. • Support dual-boot and mutlt-boot (use one USB flash drive for multiple computers). Why is your computer slow? The best alternative to ReadyBoost!